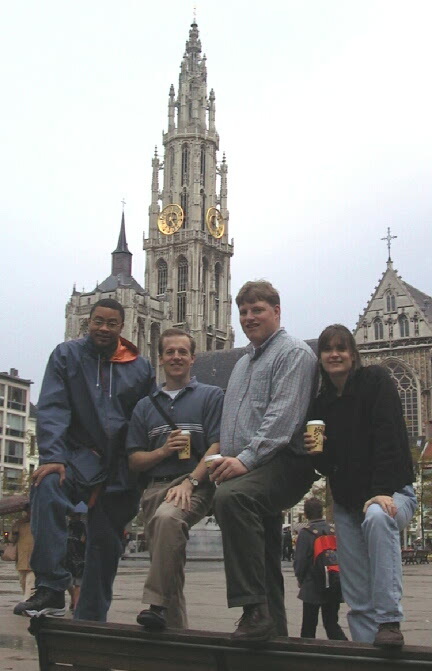 Adam, Rick, Patti, and I drinking our Belgian cappuccinos. What makes them Belgian? Well, because that's where we bought them. I'm pretty sure the beans were Columbian. frites.jpg When I lived in Belgium (ages 9-12), one of the attractions that stands out in my mind the most is the Friterie where one can buy an oversized portion of french fries drenched with practically any sauce you could dream of. pattijeff.jpg The train we took from Antwerp to Brussels was just long enough to allow us to create a happy-hour in our in our car. This is Patti and me toasting the Belgian beers...which were in fact from Belgium. 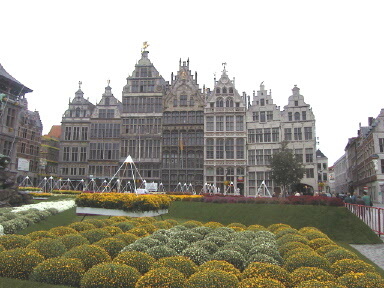 flowers2.jpg One of the main squares in Antwerp that is usually a normal cobble-stone plaza. However, when we arrived, they had turfed it and decorated it with huge designs of flowers and plants. 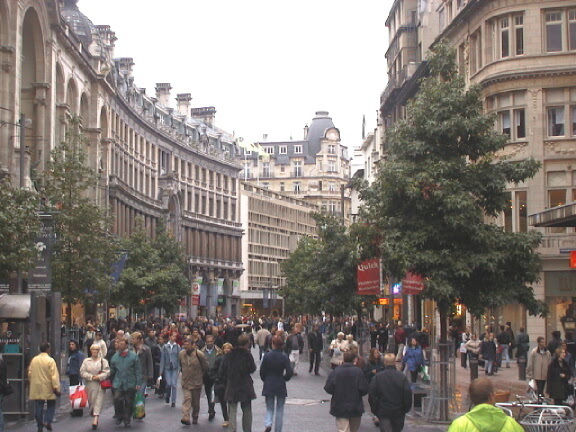 Most of the places we visted in Antwerp were not very crowded. However, turn the corner onto this street and it is bustling with people roaming around. face.jpg It's amazing how close some people will let you get up in thier grill to take their picture. This kid is a prime example of being tolerante of me. 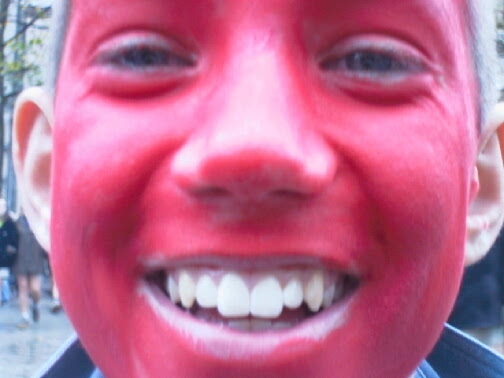 Oh, and the red is face paint. 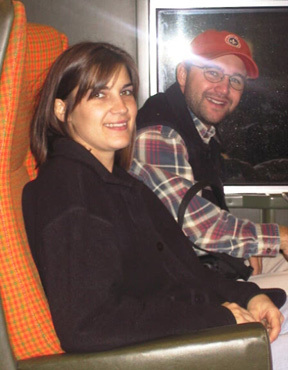 pattibrian.jpg Patti and Brian on the train. backseat.jpg Adam's car was hardly built for two but somehow we managed to squeeze all six of us.